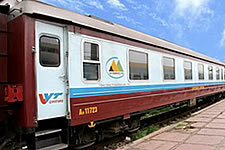 Livitrans Express Train is a high class train with VIP cabins equivalent to an international four-stars hotel. 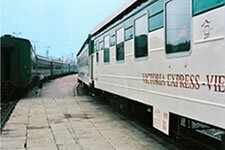 Livitrans Express Train, which comprises of 9 wooden carriages and one electricity generation compartment, is expected to expand to 15 carriages to be able to accommodate 420 passengers in the near future. 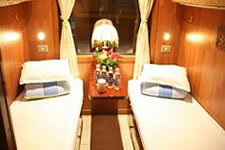 King Express Train with deluxe decoration and remarkable services. 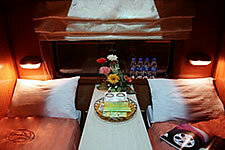 King Express trains are classically paneled with elegant wooden furniture and enchanting light system which generates an atmosphere of nobility, coziness and refreshment to train passengers.